There are few things more challenging than british weather. 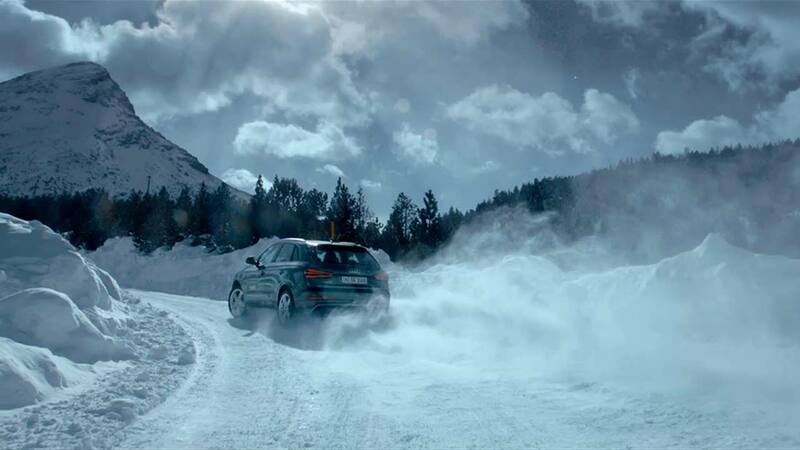 Audi's new spot directed by Jan Wentz aims to show the durability of Audi cars due to their all-wheel-drive technology which adapts to all weather conditions. James Bamford, Mill colourist, comments on the process of remote grading using our TVIPs system, "Audi was graded with our friends at NHB in Hamburg through our live grading link up. It was a great experience working with Director Jan Wentz. This was a commercial which consisted of shots from multiple previous Audi commercials. One of the key challenges was that some of the shots were graded from raw footage but others had been graded once before, so it was really a case of keeping consistency whilst grading on top of a grade! We gave the spot a cold winter edge using cyan / blues as the main colour pallet throughout. We also paid particular attention to the cars, making sure every detail was enhanced."